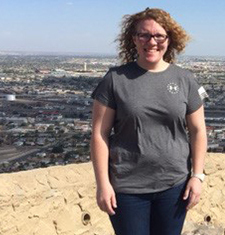 Alicia Lyons grew up in eastern Washington where she attended and graduated from Eastern Washington University in 2015 with her degree in Therapeutic Recreation. Alicia had interned during the summer of 2015 with Outdoors for All where her primary focus was military programming. After the conclusion of her internship Alicia decided to stay in the Seattle area where she would become a Certified Therapeutic Recreation Specialist and eventually begin working for the U.S. Military’s Warrior Transition Battalion rehabilitating wounded, injured and ill soldiers. While working in the south sound Alicia was able to stay active with Outdoors for All volunteering, working as a seasonal program coordinator and finally returning to their staff as the new Cycling Program Manager. In her free time Alicia enjoys being outside, biking, shooting archery, fishing, spending time with family, traveling and improving her skiing skills.